Donald Glover is having a good year. After creating one of the most critically acclaimed new shows in Atlanta, his casting as Lando Calrissian and becoming a father, the man of many talents sens his musical style to another dimension entirely on his latest project Awaken, My Love. He abandons the braggadocio and punchlines and the surprisingly well-sung pop hooks that characterized his rap career for something more closely resembling the spirit of Prince reincarnated. Shades of this creative side of him came out on concept album Because The Internet, but this is on another level. 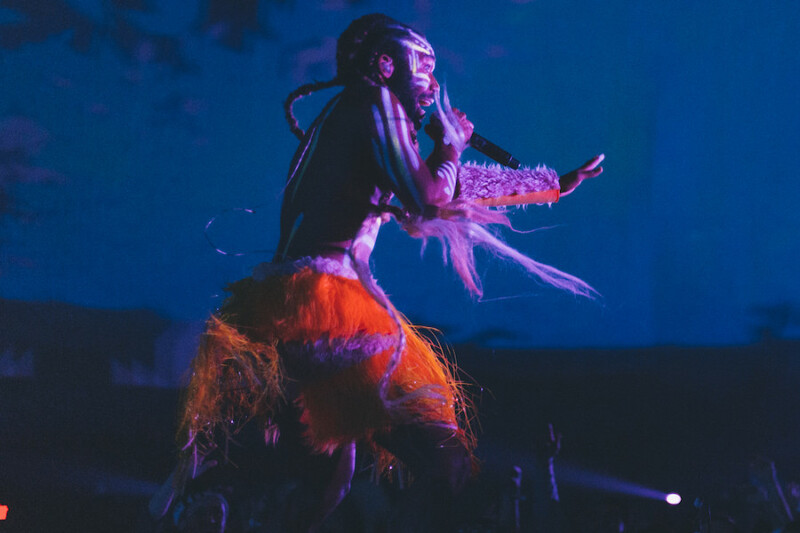 While we already knew that Gambino could pull off almost anything well between singing, rapping, acting, screenwriting, stand-up comedy … when he dropped the sprawling, genre-hopping “Me and Your Mama” it still came as a surprise. To pull such a shift in character off this well takes some serious ability, and Gambino joins the ranks of hip-hop artists who have stretched the confines of the genre to become something so much more in the process. He follows in the footsteps of fellow Atlanta artists OutKast in his ability to create powerful, brilliant music by injecting smaller aspects of hip-hop into other areas of music despite their perception as rappers. The album continues the great streak of funk and soul-influenced mainstream albums we’ve been getting this year, showing that Gambino has been studying his musical history in his ability to revive the intricate sound of artists like Funkadelic and Sly and the Family Stone, who he cites as major influences on the project. It is interesting that the production is still mainly handled by close friend and Community composer Ludwig Goransson, who worked on all his previous material as well, as these could easily be two different artists. Goransson is credited for playing an incredible number of instruments here, contributing to the production value that may be the best of the year. The album is very atmospheric – it opens with 2 minutes of a repeating choral loop bringing us into the musical world. Gambino’s soul-piercing screams of agony in the middle third of “Me and Your Mama” are bookended by 2 instrumentals from 2 different musical worlds. It really is hard to process what we’re hearing here at times. Even though there is a running theme in the sound it is imbued with aspects from everywhere and anywhere – “Have Some Love” could be a gospel hymn and “California” could be a Young Thug song. The production resembles Kendrick Lamar’s To Pimp A Butterfly at times in how complex it is, and like Butterfly, funk legend George Clinton is credited on “Riot”. Many tracks come equipped with freeform solos which close them out which can even be more entertaining than Gambino at times. I’d love to see the harpsichord solo which concludes “Zombies” being played. 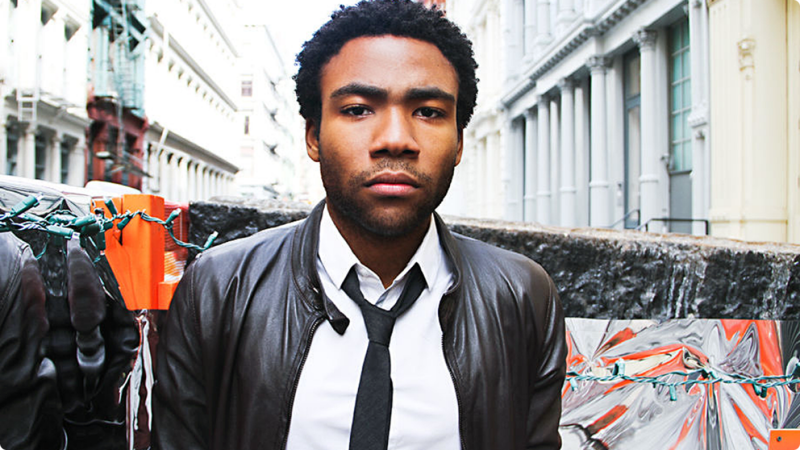 On top of this layered funk production is the real surprise – Gambino’s vocals. His voice goes to so many strange places that many weren’t sure it was even him when the first two promotional singles were released, and the range he displays is very impressive. He knows how to capture an emotion perfectly just by altering his voice. His distress on “Zombies” as he’s being hunted by metaphorical ones makes you genuinely uneasy. “Redbone” is one of the best tracks of the year, featuring interlocking loops of 70s funk keyboards and guitar enhanced by Gambino’s aching falsetto. The passion in his delivery gives me chills every time, culminating in an amazing moment where he full-out yells “STAY WOKE” into the microphone before being cut off in the song’s return to its more chilled-out nature. While Gambino dropping punchlines full of pop culture references and basically acting like a solo battle-rapper was entertaining, and he’s certainly very talented at that as well, these songs mean something. “Baby Boy”, a poignant message to his newborn son expressing his desire to stay close to him despite his tumultuous relationship with his mother, is written with the sensibilities of a screenwriter to perfectly make you feel his words. The words of advice he gives to his son are revealed to be the same words given to him by his own parents 2 tracks later on outro “Stand Tall” – “Smile when you can”. Since the album does involve throwing a lot of different sounds at the wall and seeing what sticks, it can tend to go off the rails sonically at times despite usually meshing very well. “Riot”, although brief, is quite disjointed as its title might suggest, putting too many different sounds in at once before ending abruptly. “Stand Tall” does the same thing, extending too long and jumping back and forth between one motif to the next. The short breaks in sound before something completely different is thrown in could really make the song 3 separate tracks. While I do hope Gambino raps again sometime in the future, hopefully elements of this project can find their way into his music and this isn’t just a side experiment, because Awaken, My Love comes from another planet. To take such a huge artistic risk and follow through to this level of success and with this much certainty in direction is an incredible achievement. Every time I think Donald Glover can’t surprise me any more than he already does, he feels the need to prove me wrong.